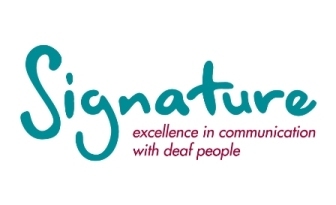 Signature welcomes the Department for Work and Pensions’ commitments to establish the return on investment delivered by Access to Work and to review the market in BSL/English interpreting. The need for research was identified in the equality analysis for the future of Access to Work. It said, “establishing the return on investment delivered by Access to Work will build the case for increased funding”. It went on to say, “we can work to develop a market review of BSL interpretation, which may deliver some insights on the potential future supply and demand and present findings to other government bodies that may have more direct influence on the future of interpreter supply such as the Skills Funding Agency”. Jim Edwards, chief executive of Signature, said: “Both pieces of work are very welcome, as they will hep us find the solutions to ongoing problems. “In particular, anything that helps make the case for more funding for a scheme that has been successful in helping disabled people enter and stay in work is well received. As well as enabling deaf people to fulfil their potential, Access to Work increases deaf awareness by helping to develop a diverse workplace. “We’re also glad the government will review the market in BSL/English interpreting. It has become increasingly clear that demand is outstripping supply. That means people who need the services of sign language interpreters can experience problems finding them. “There are various reasons for this, including reductions in further education funding, and in local government funding for entry level BSL courses. And, as one of the major buyers of communication and language support, it’s clear the government has a key role to play. “However, the review should encompass all forms of communication and language support, not just sign language interpreters. The supply of interpreters for deafblind people, lipspeakers, notetakers and speech to text reporters is further from meeting demand than that of sign language interpreters. And as we want people to better understand their needs and source a more diverse range of support, we can expect demand to increase.